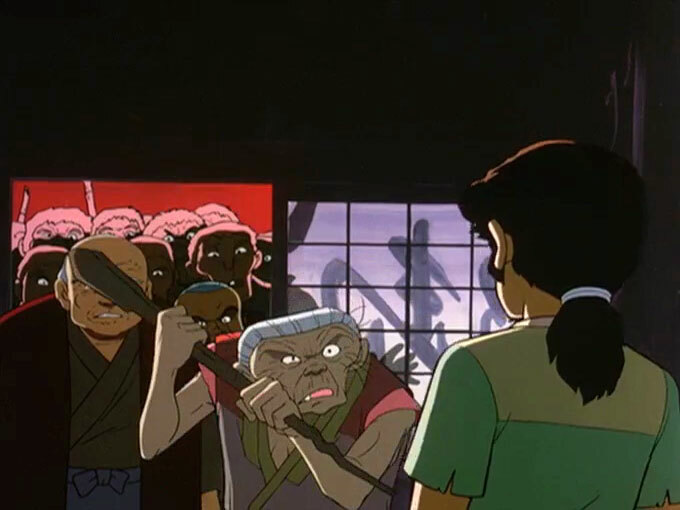 A young boy named Jiro finds his mother and sister murdered in his home. 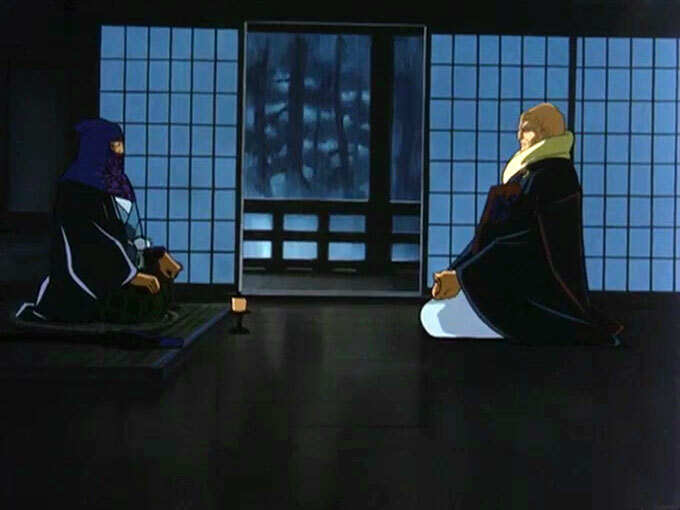 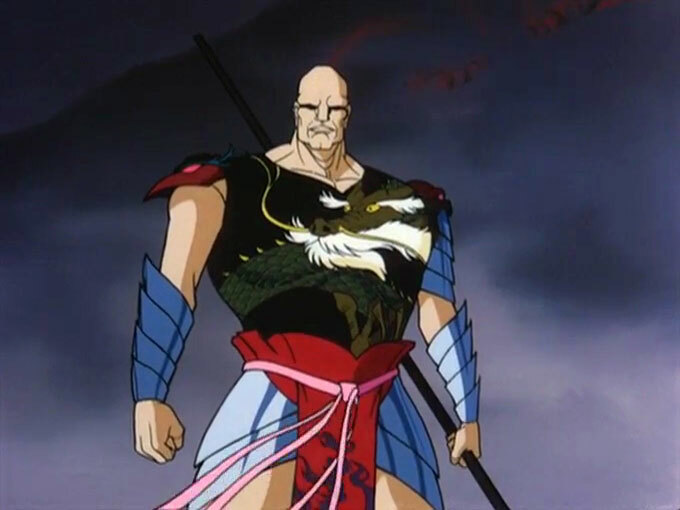 Falsely accused of the crime, he flees from his village and meets a priest named Tenkai, who has him kill a rogue ninja named Tarouza. 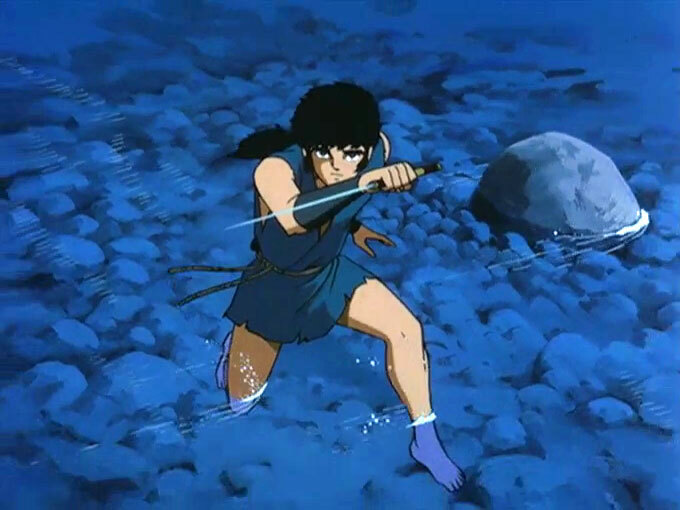 After fulfilling that task, Jiro undergoes training to become a master assassin. 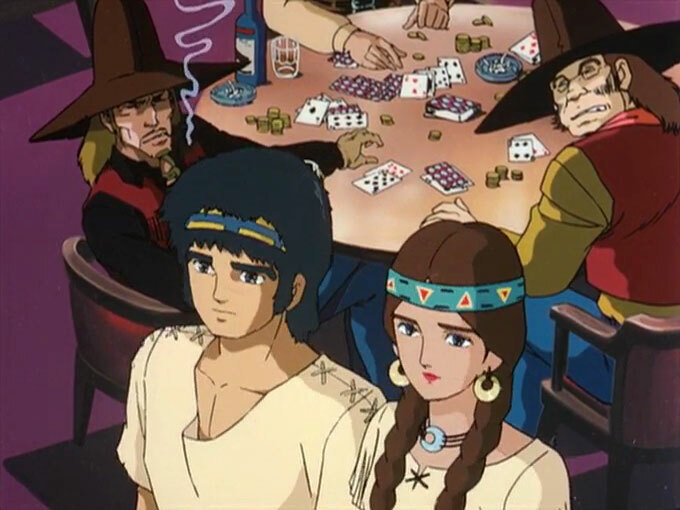 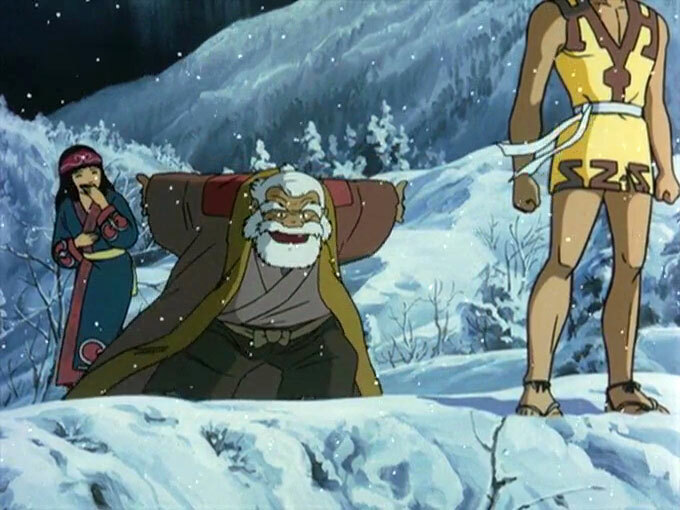 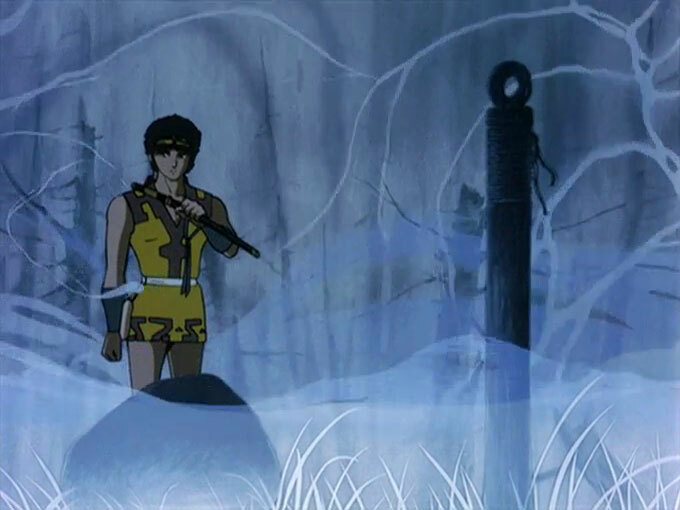 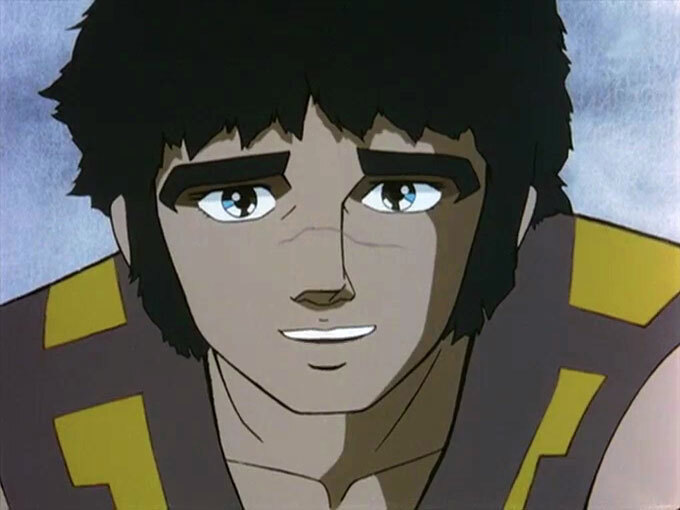 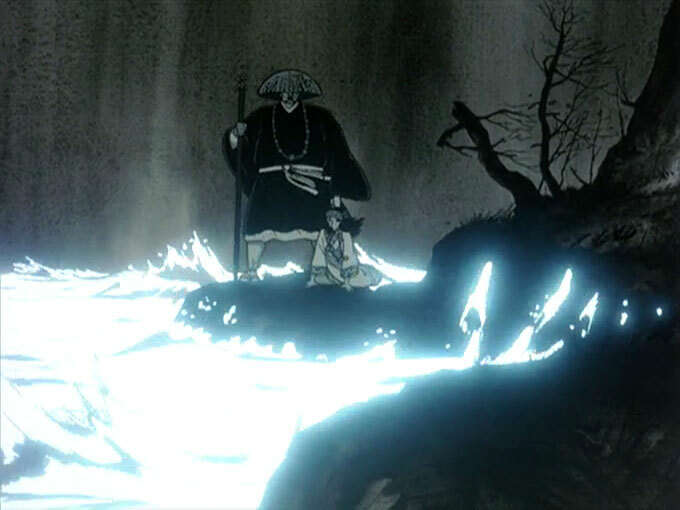 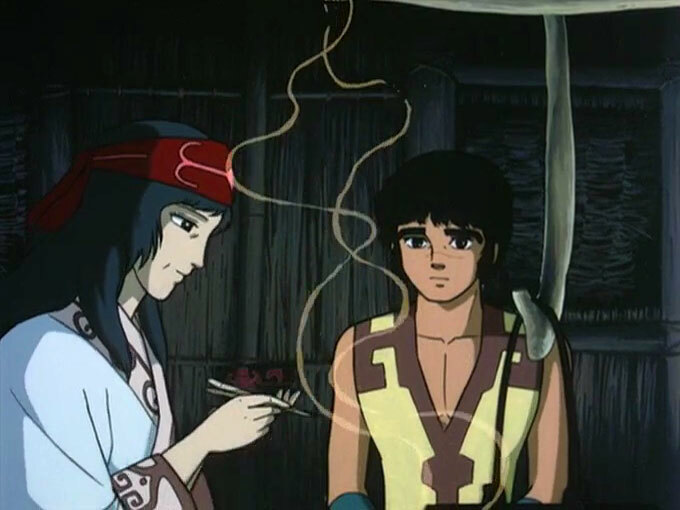 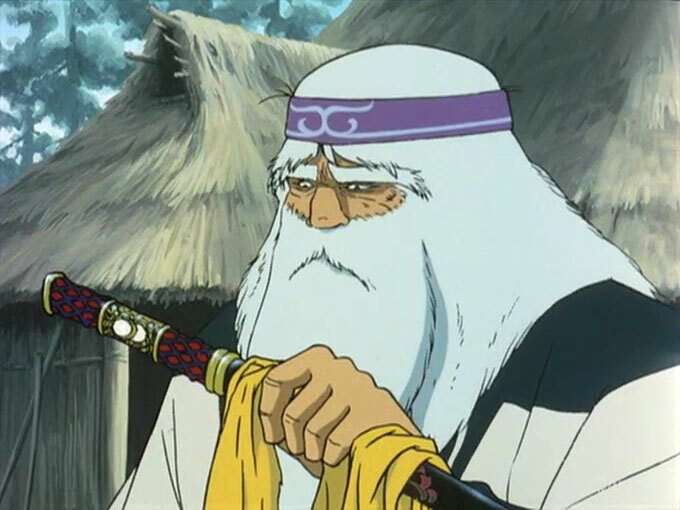 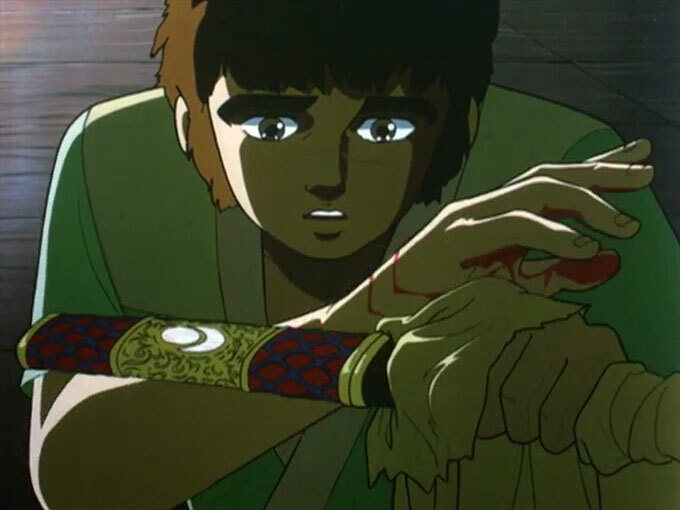 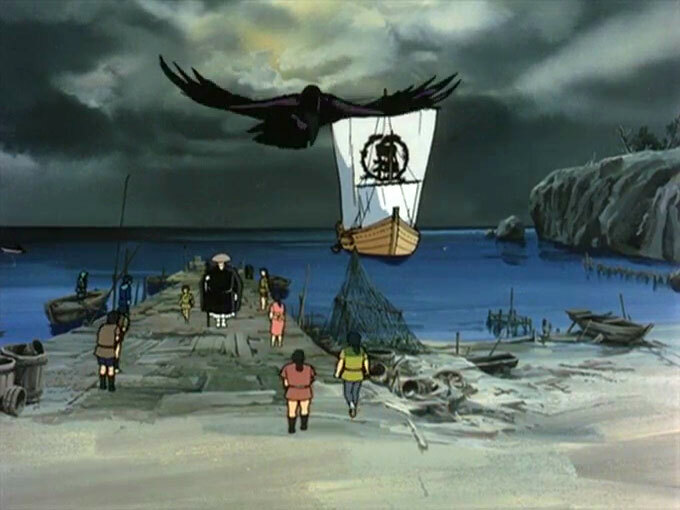 Many years later, Jiro finds out that he was an orphan and his real father was Tarouza, who had worked for Tenkai until he aborted his mission when he fell in love with an Ainu woman. 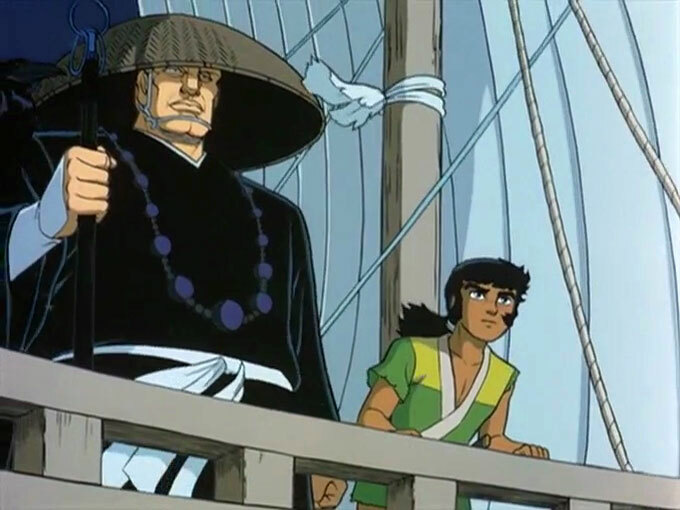 The young ninja discovers that the Shogunate was to retrieve the lost treasure of Captain Kidd and use it to once again isolate Japan from the rest of the world. 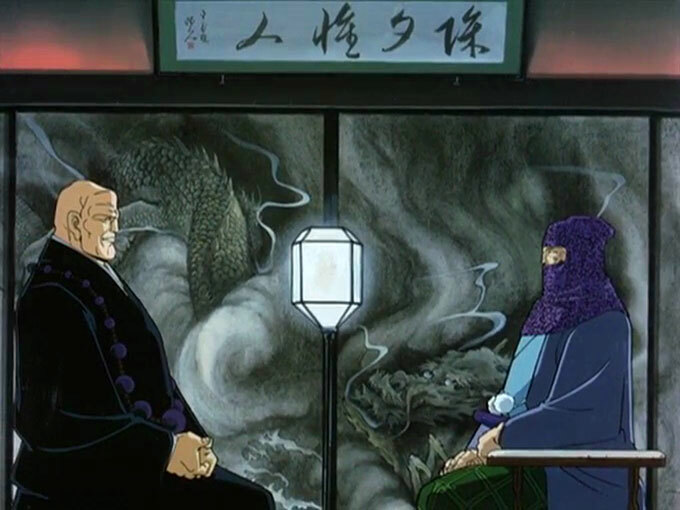 Using the clues that Tarouza had kept secret, Jiro - along with the female ninja Oyuki and a slave named Sam - travels to Russia and America to search for the treasure in hopes of using it to extract revenge from Tenkai. 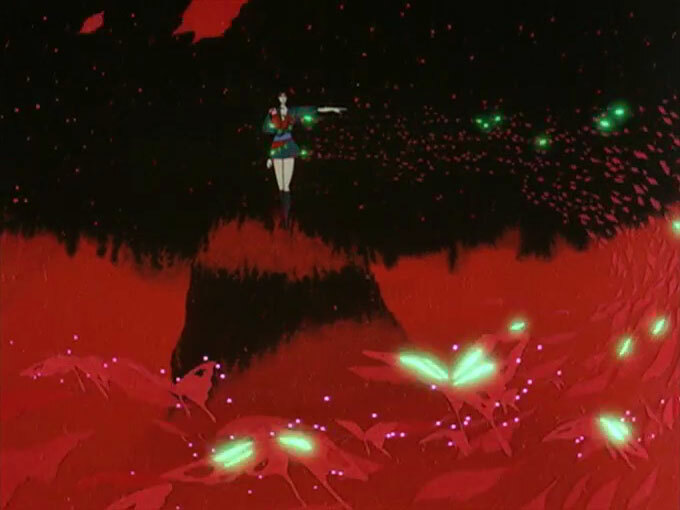 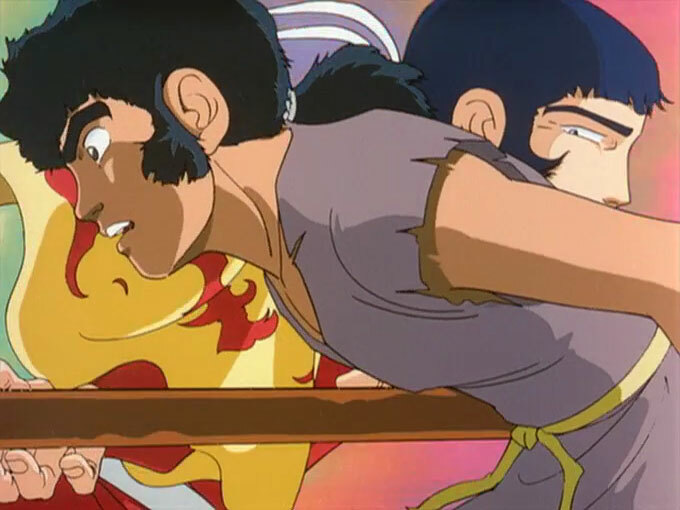 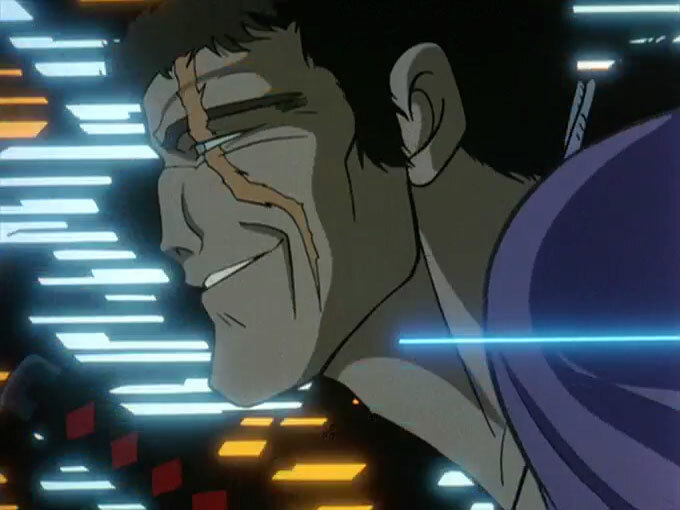 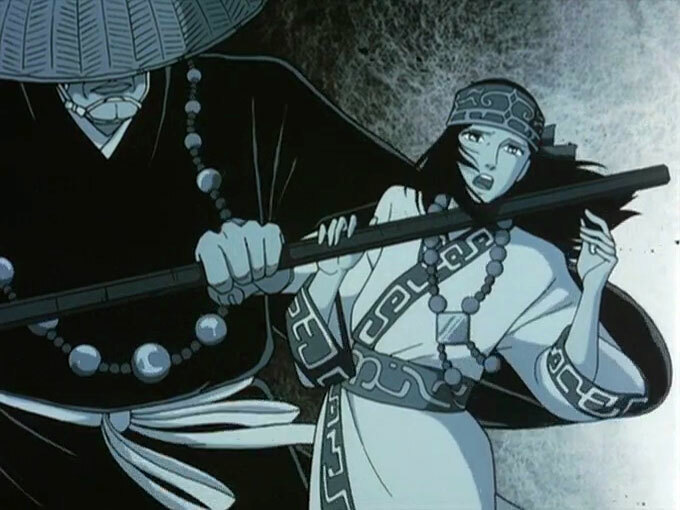 At 2 hours and 12 minutes, Dagger of Kamui is the longest movie featured on this site. 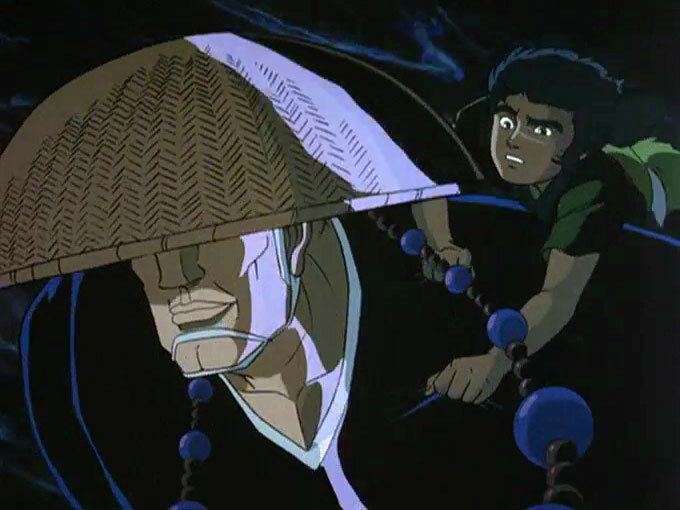 In the North American dub, this movie was also known as Revenge of the Ninja Warrior. 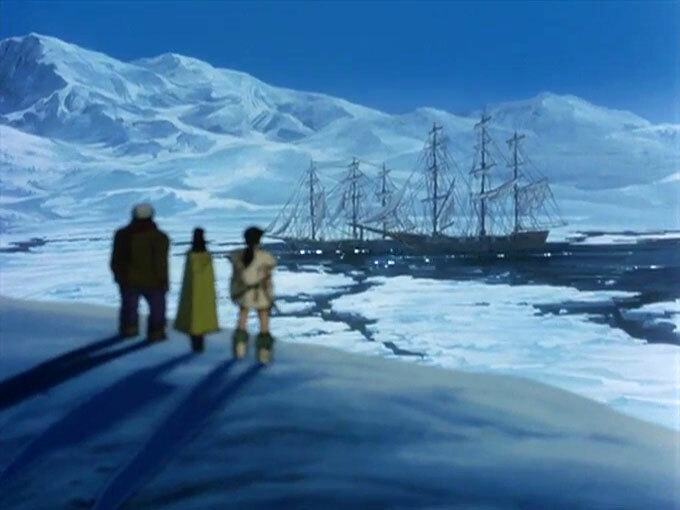 The story is like Game of Thrones - everyone dies! 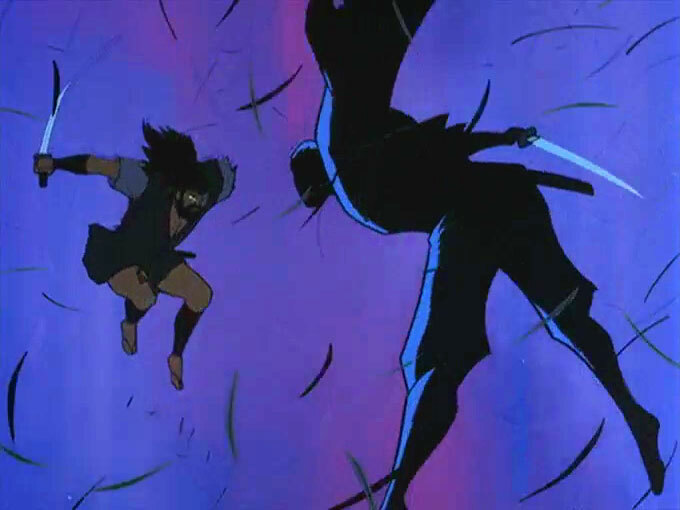 It's dark and gory, as a movie about ninjas should be. 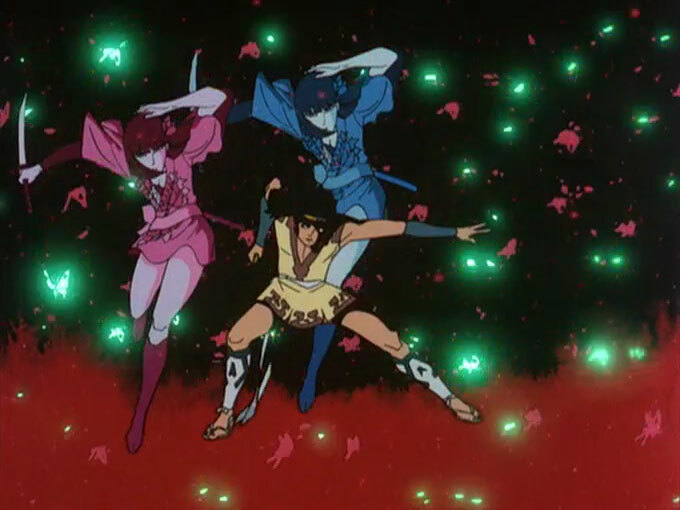 For a 1985 movie, the battles are pretty awesome. 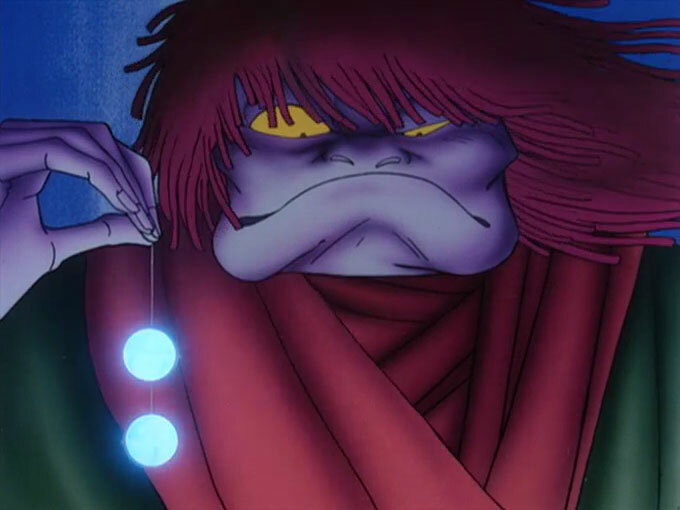 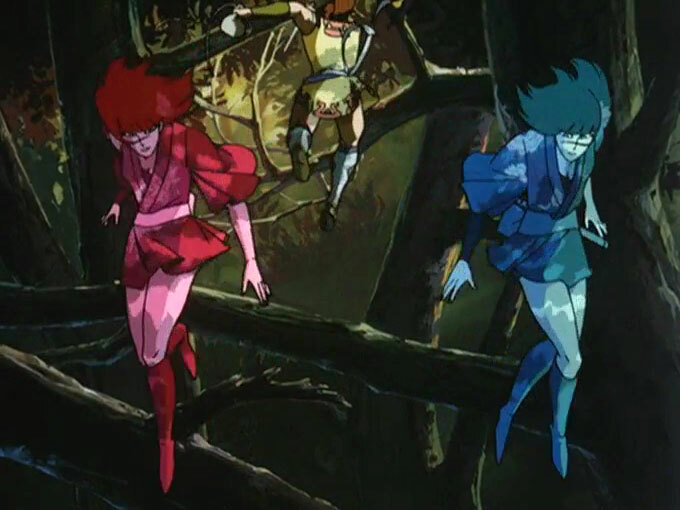 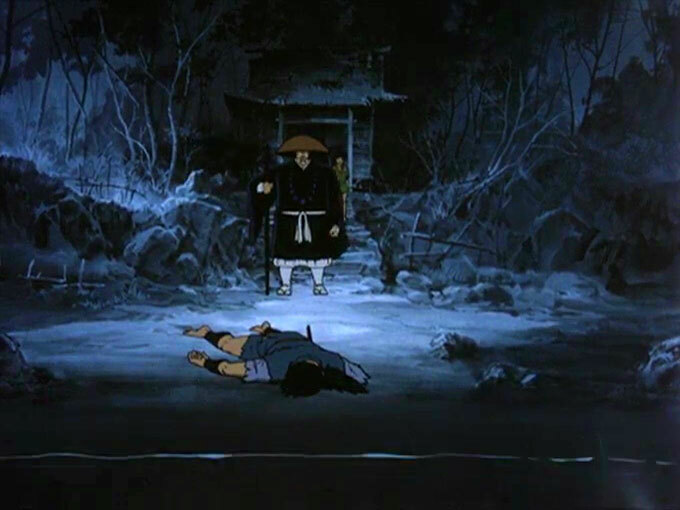 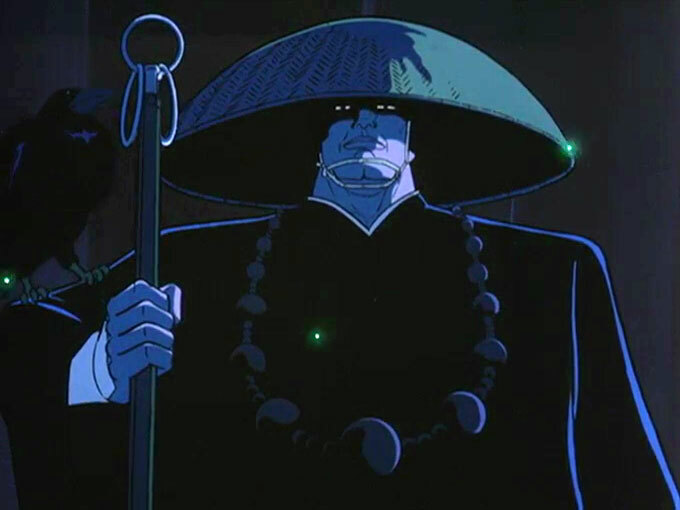 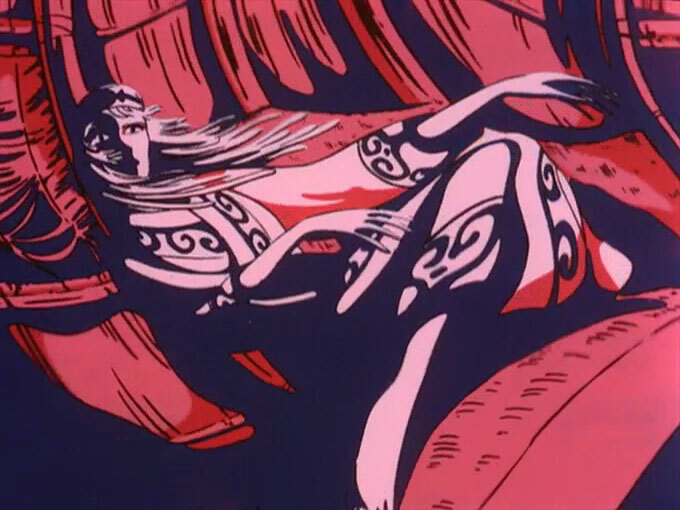 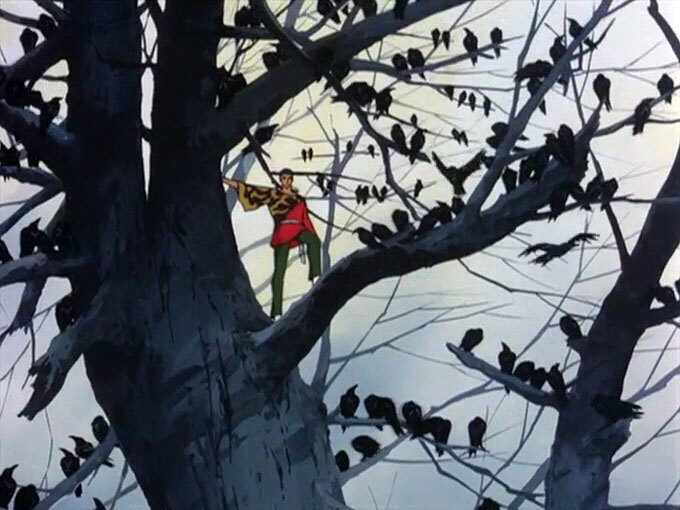 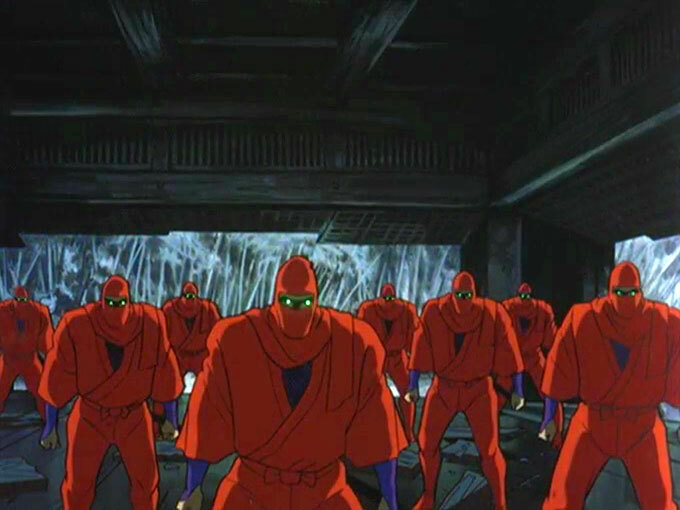 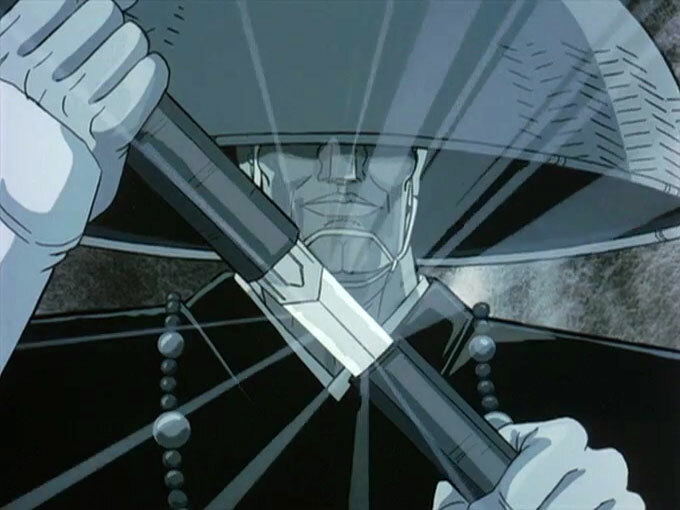 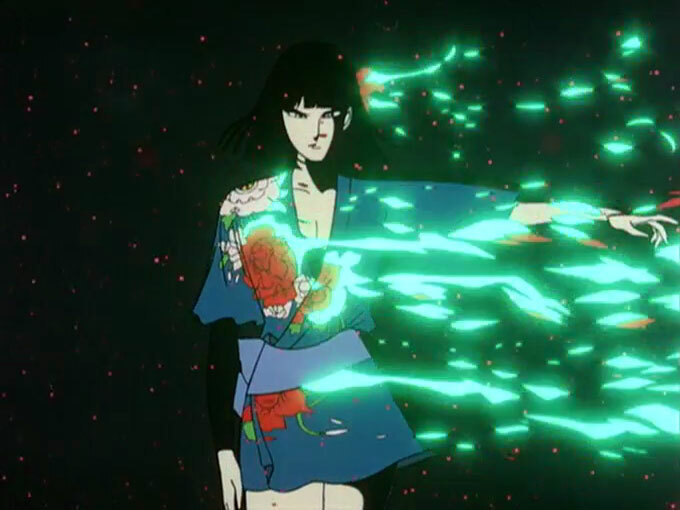 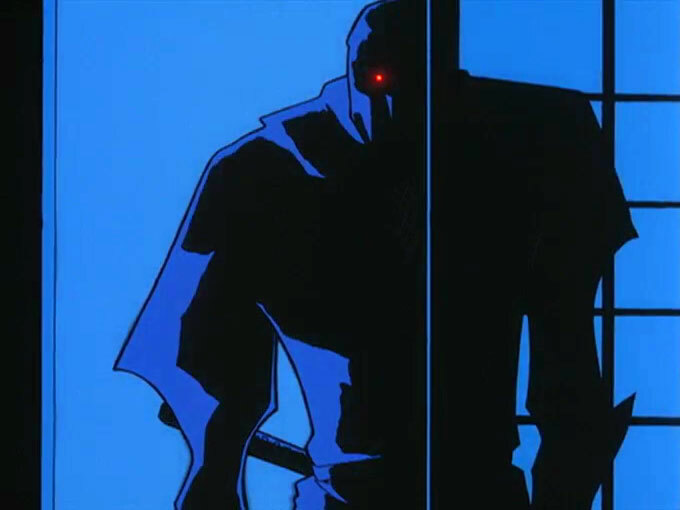 It wouldn't surprise me if Ninja Scroll was inspired by this movie. 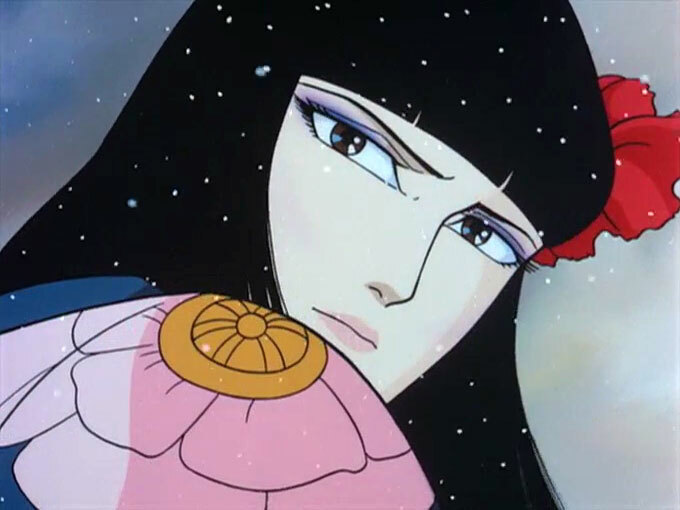 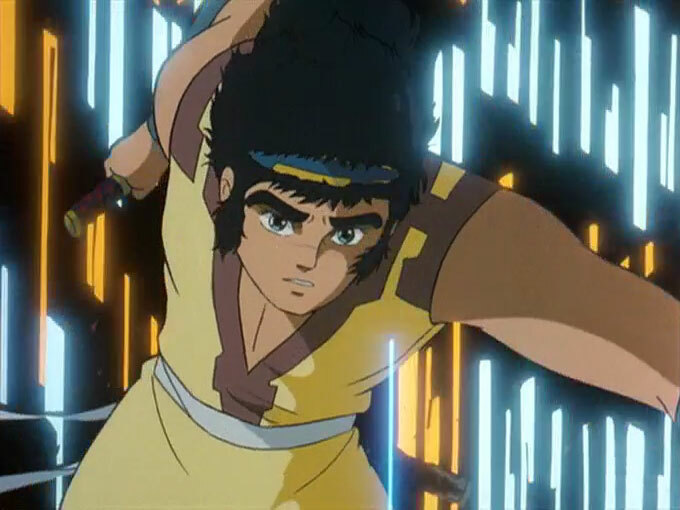 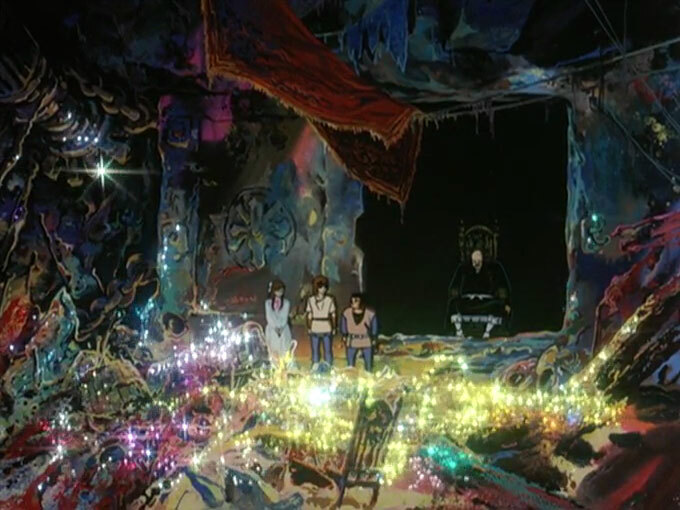 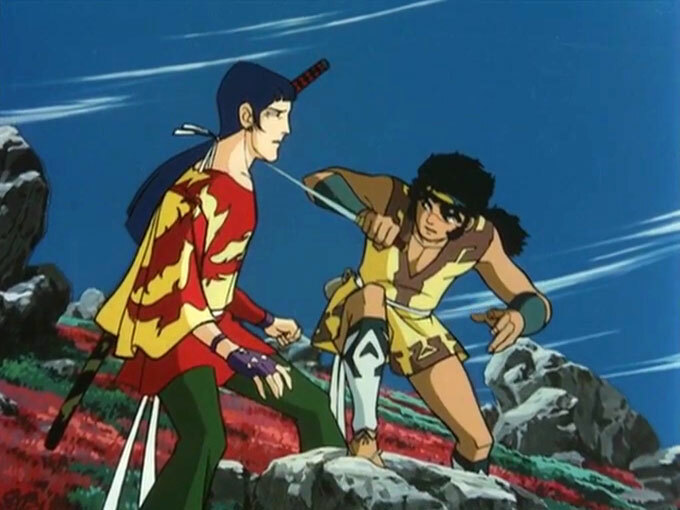 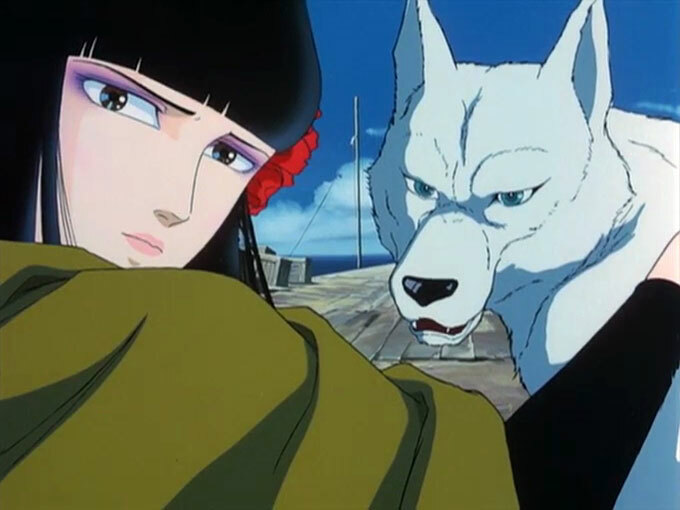 I would recommend Dagger of Kamui to you if you enjoy 80s anime. 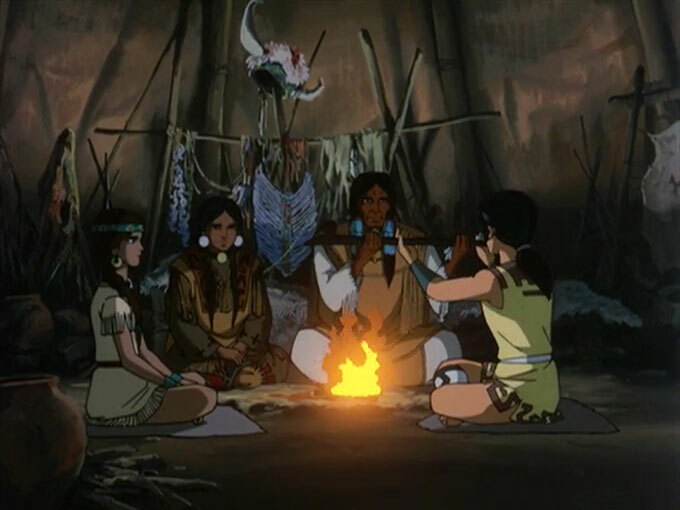 It spends a great deal of time focusing on building the story and developing the characters. 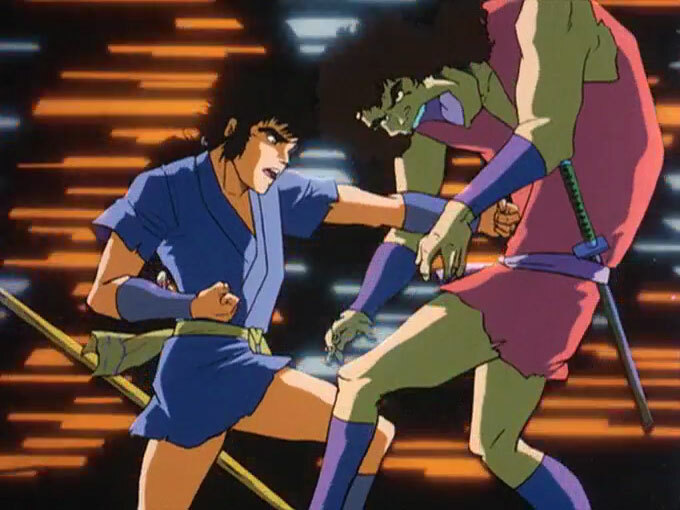 If you don't have an appreciation for 80s anime, then you would find it boring. 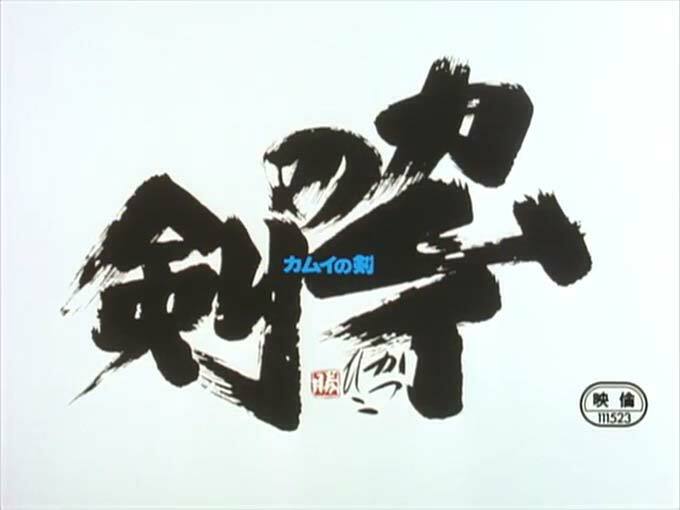 You can buy this movie from Amazon. 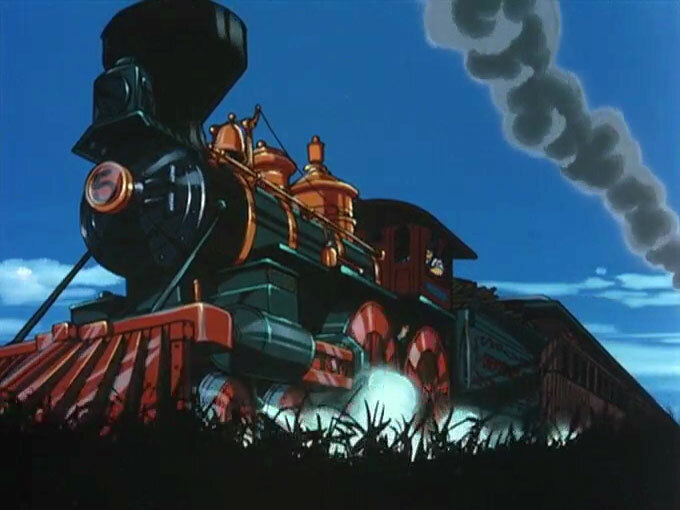 It goes for around $16 (US).